I grew up in New England (MA, CT & NH) and learned knitting from my mother. 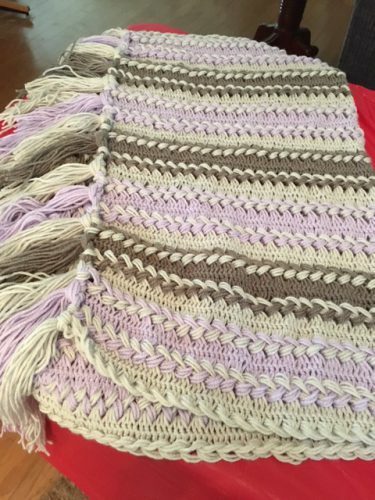 After college (also in Massachusetts), I learned to hairpin lace which is used to make baby blankets. After moving to Texas by way of Kentucky, I became an “alpaca rancher.” I’ve become smitten with lace knitting using beads. 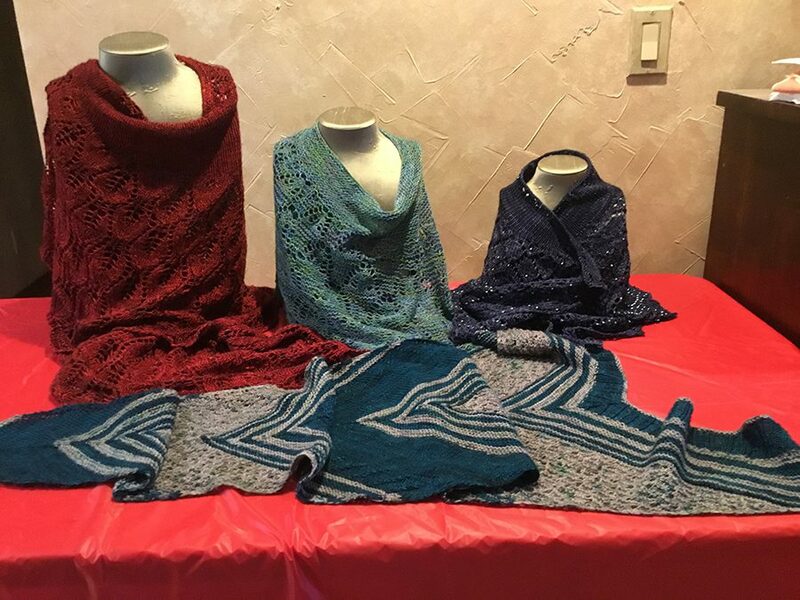 Some of my creations are inspired by my alpacas, but there are some yarns that have to be knitted in just the right pattern with just the perfect beads.